It’s a little distressful when your favorite restaurant in Munich topples from the pedestal on which you’ve placed it. It’s like when you encounter your first love again, years after the fact. 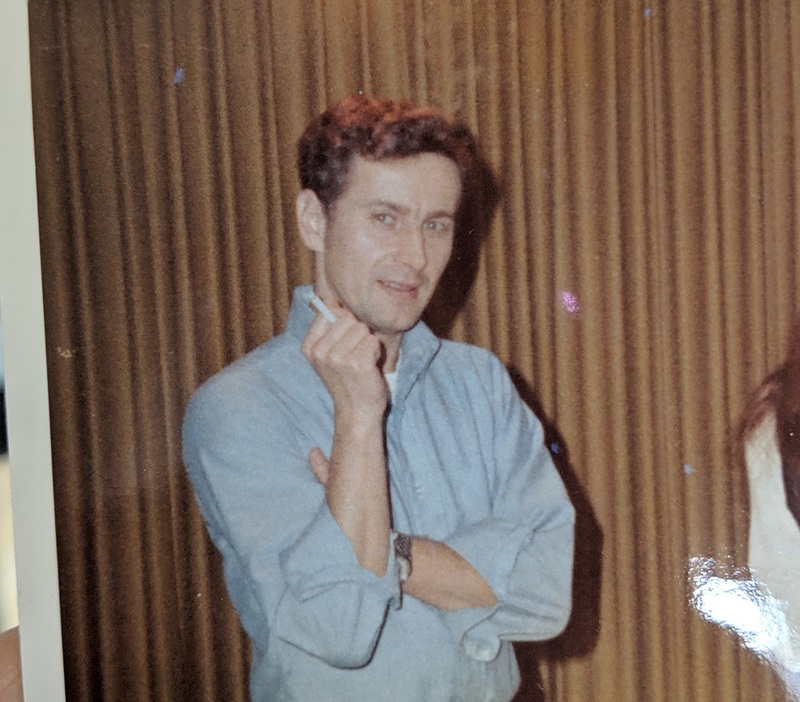 You find that his voice is higher than you remember, or his eyes lack that trademark twinkle, and you start to wonder: did he change, or did you? Guido al Duomo was once my favorite restaurant in Munich. It is no longer. Don’t get me wrong: it is still very good, but it is now packed to the gills and the prices have risen dramatically. This is likely the last dish I’ll ever eat at Guido. I am both heartbroken and entirely okay with this. I still have my memories, though. Of Rand and I wandering through downtown Munich, hungry but unable to eat one more schnitzel, and finding Guido in the shadow of the Duomo. 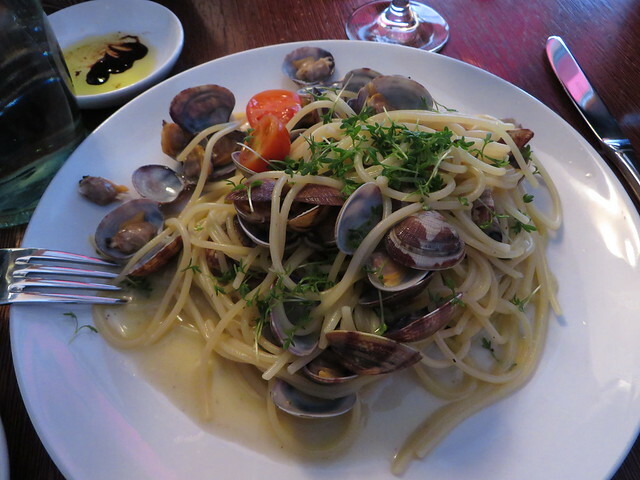 Of sitting outside in the sunshine, and swirling perfectly cooked pasta around our forks while the staff spoke to us in German and English and Italian and we, miraculously, understood all of it. I have to admit: I probably won’t be going back again. 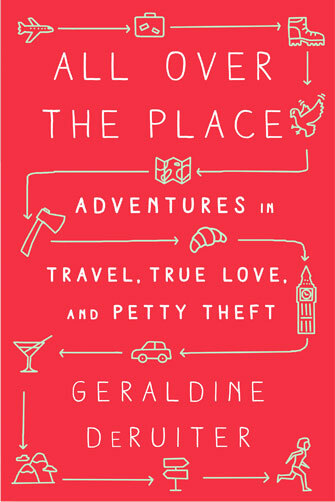 It’s wonderful, but it pales in comparison to the place we found all those years ago. I’d rather avoid it than tarnish those memories. But what of this void now in my heart? Guido had left a vacancy, and the title of “Favorite Restaurant in Munich” was, briefly, up for grabs. 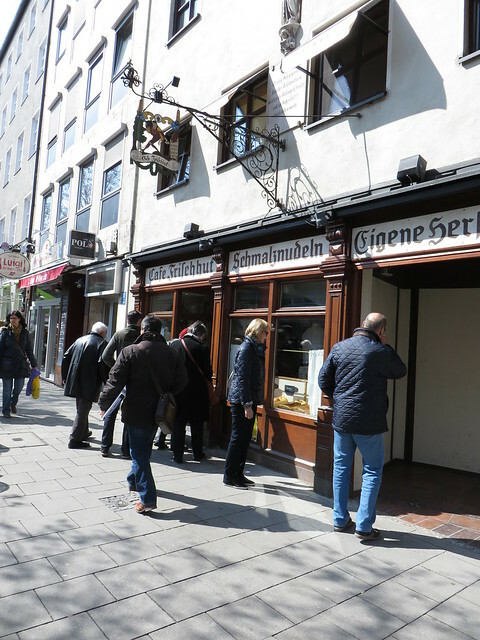 It soon was soon snatched up, and perhaps fittingly, by a restaurant that serves German food. 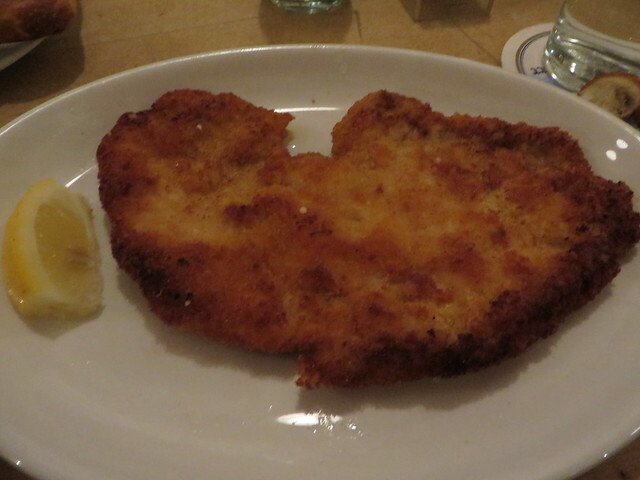 I guess we did have room for one more schnitzel. And perhaps we always will, provided it comes from the Bratwurstherzl in Munich. The bratwurst, I should note, is also quite good, though I’ve never ordered it (and have only stolen bites from Rand’s plate). 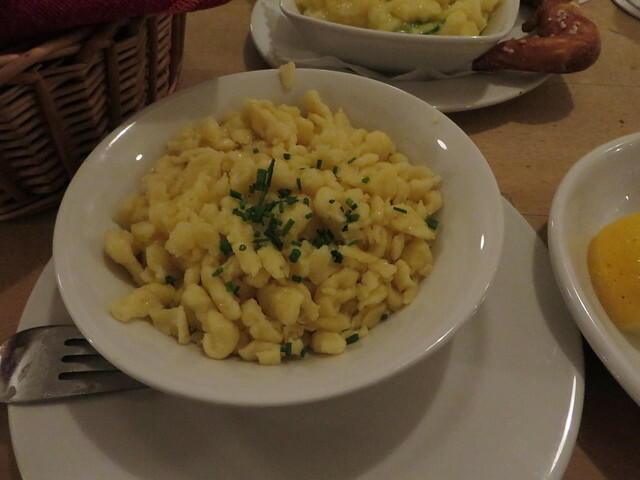 The spaetzle are tender and comforting, and nearly everything comes with a massive side of vinegary potato salad. The walk to Café Frischhut – Die Schmalznudel (yes, that is the entire name; economy of words is non-existent in Bavaria, and I am okay with that) from the Bratwurstherzl is not long, but you can pretend that it gave you ample time to digest all those carbs (it did not, and I am okay with this, too). 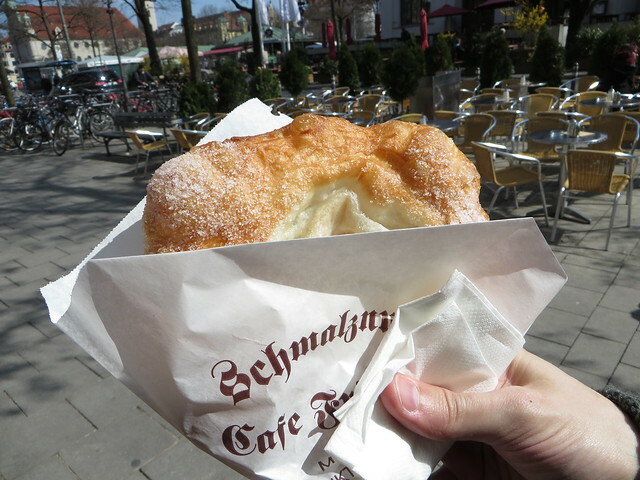 It is my new favorite dessert in Munich, and it is only fitting that it should follow my new favorite lunch. 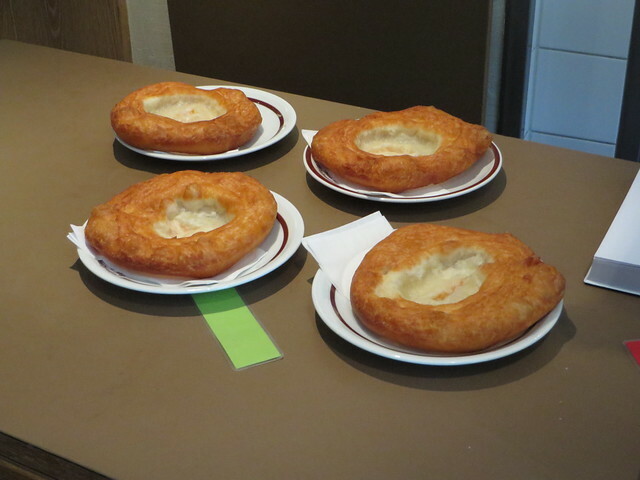 The smell of fried dough will hit you long before you reach the café. Should you wish to gawk and linger, I recommend you do so outside. They helpfully display all of their offerings in the window, and from there you can see the doughnut maker magician at work, too. 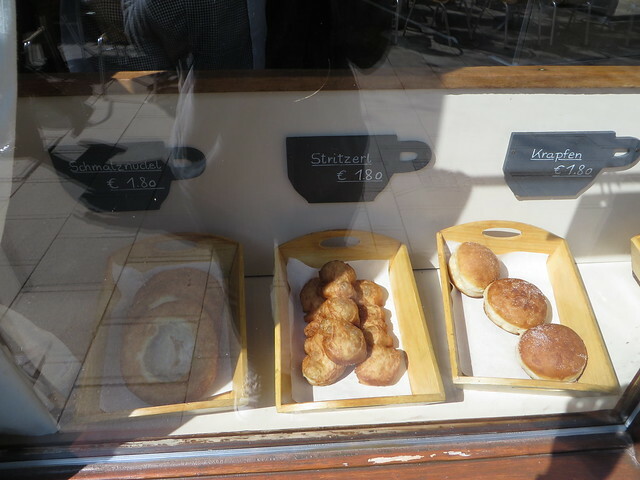 Yes, there is something on the menu called a “krapfen”. Hee. He pulled these out of the fryer a second before, but this did not stop him from flipping them with his bare fingers. 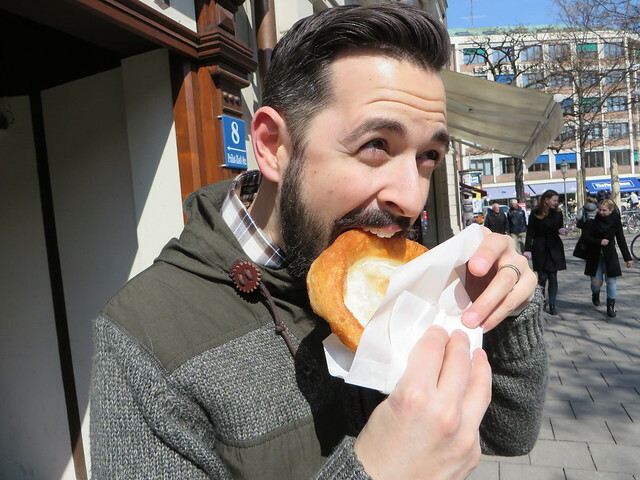 Rand and I got their signature schmalznudel – a deep golden fried disk, dusted with sugar. We ate it in the sun. The dough wasn’t sweet at all – it was almost salty, really – which paired wonderfully with the sugar coating. 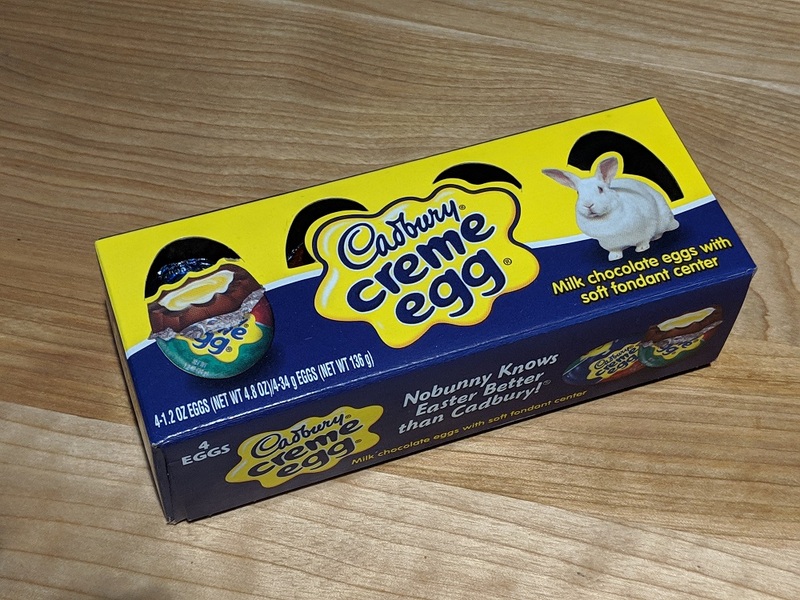 I counted the bites I took, not wanting to take more than my fair share, but not wanting to be cheated out of half, either. Like a summer love or a well-earned vacation, it was over too soon; we were left with only the traces of sugar on our lips, and the scent of fried dough heavy around us. 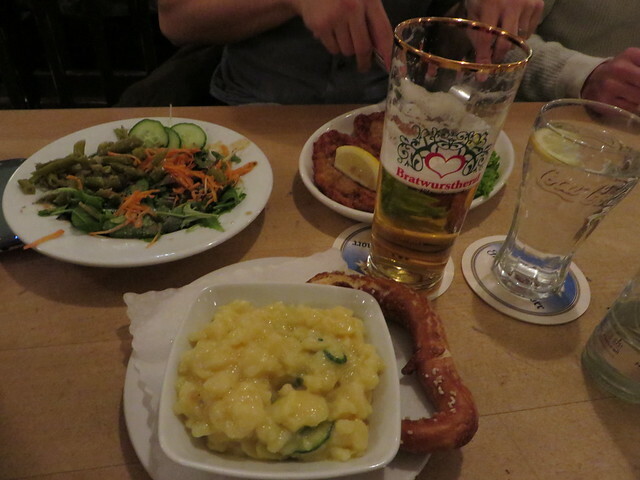 Then I might have wandered back into Café Frischhut. Because the heart is nothing if not resilient: it learns to love again. And the stomach does, too.